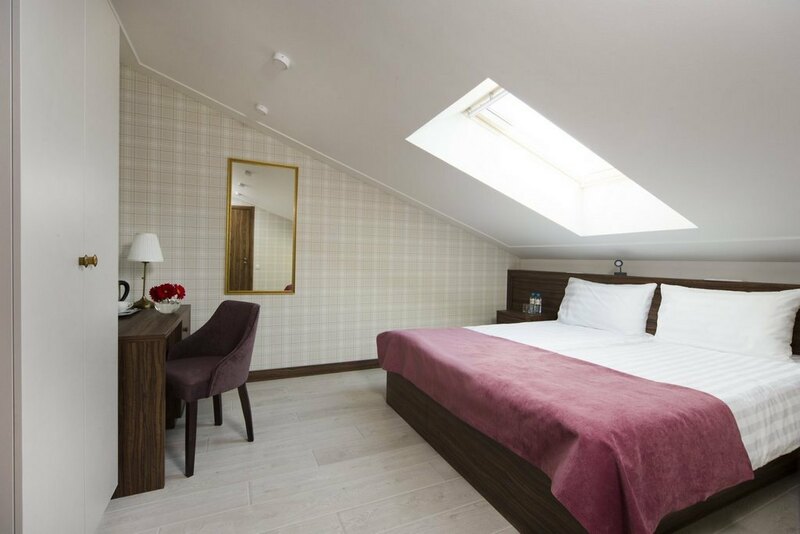 All the sky rooms are on the upper floor of the hotel and have skylight windows: you will enjoy the panoramic vistas of Saint-Petersburg's romantic rooftops. This room is perfect for any trip. This welcoming suite has all the facilities for you stay including a spacious bathroom with a bathtub or a shower stall. 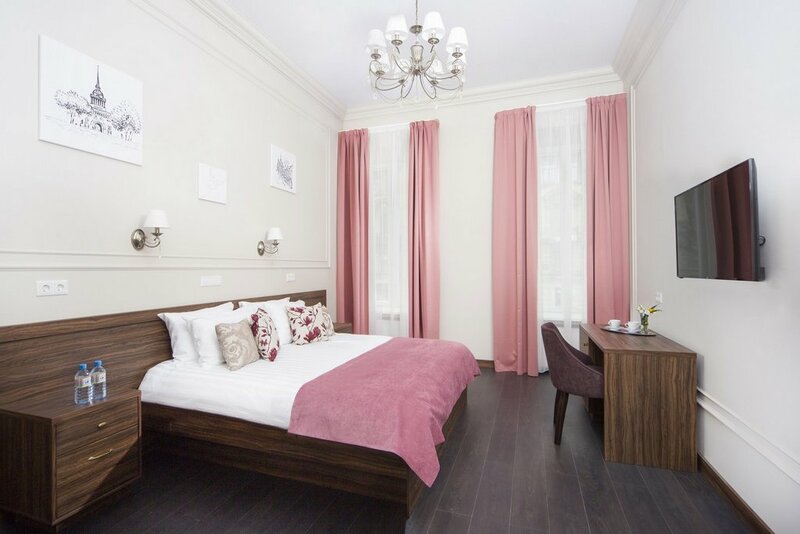 A welcoming and homelike room with all the facilities needed for your stay will be just for those who have mastered a lifestyle of balance: whether you're on a business trip or enjoying a romantic weekend. 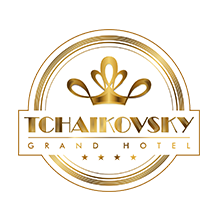 It offers our guests the unparalleled service at a reasonable rate. This generous comfort room covering 30 m2 is an eclectic mix of traditional and modern designs that naturally compliment each other. 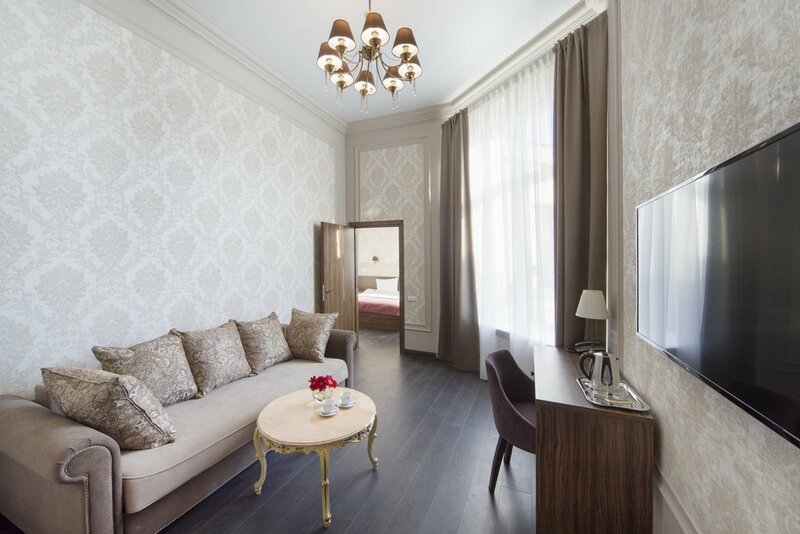 It is tailor-made for a quiet evening after a walk around Saint-Petersburg or a long workday. 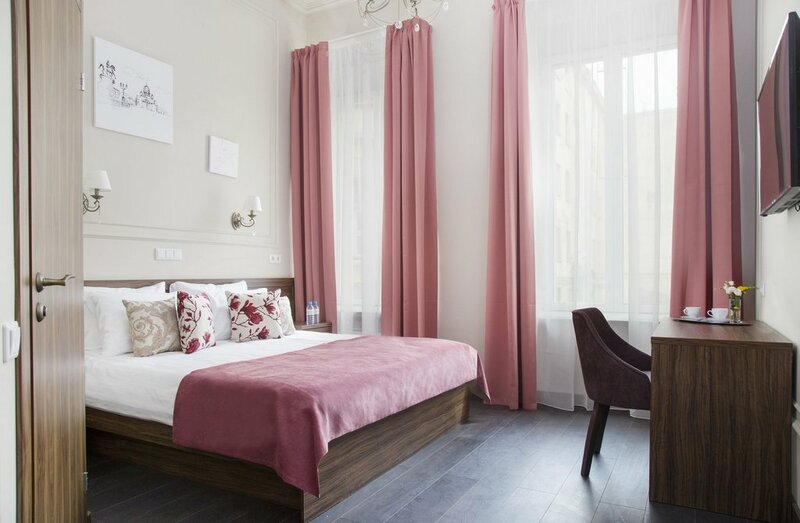 Superior room with a square of up to 35 m2 has an elegant drawing area with a sofa and armchairs. This rooms will provide excellent accommodation for a vacation with your family or friends as well as one person. 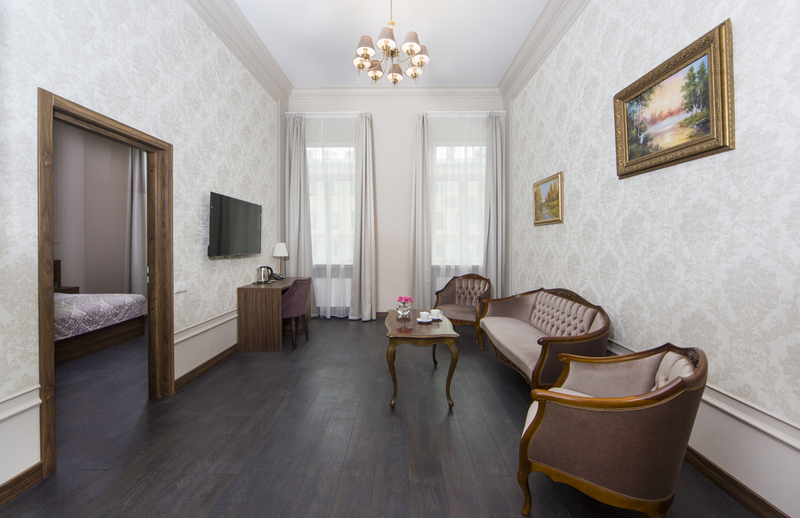 Family room is a two-room apartment designed for up to 5 people. It has a spacious bedroom and a seating area and will be an excellent accommodation for families, friends and those who have a true and deep understanding of luxury and design. A modern and comfortable seating area is designed as a workplace and a lounge at the same time. A suite covering 40-46 m2 for up to 4 people Superb two-room Lux Suite occupying 46 m2 is designed for the most demanding customers. An elegant and well-thought-out design, a spacious refined drawing room and a majestic bathroom with a Jacuzzi bath - everything you need for an unforgettable stay.